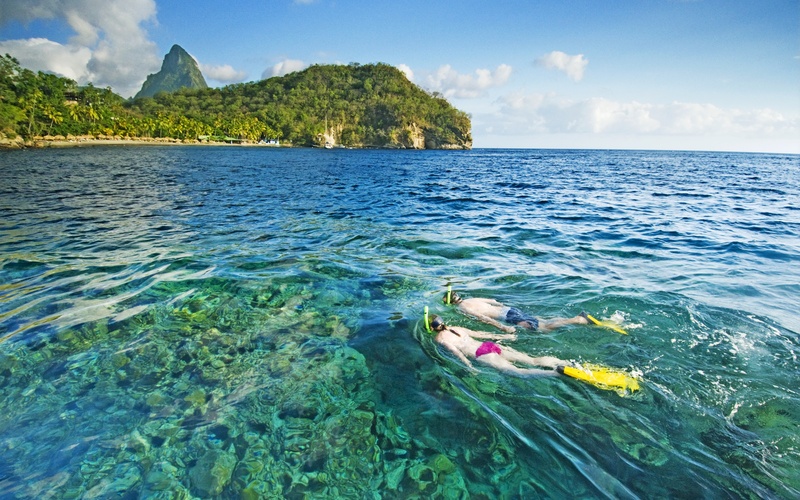 Lush and tropical Anse Chastanet in St. Lucia is one of the Caribbean’s most scenic resort hideaways. In the heart of the island’s marine reserves it’s also one of the rare places where divers and snorkelers can witness the miraculous Coral Spawning, one of nature’s most spectacular performances. 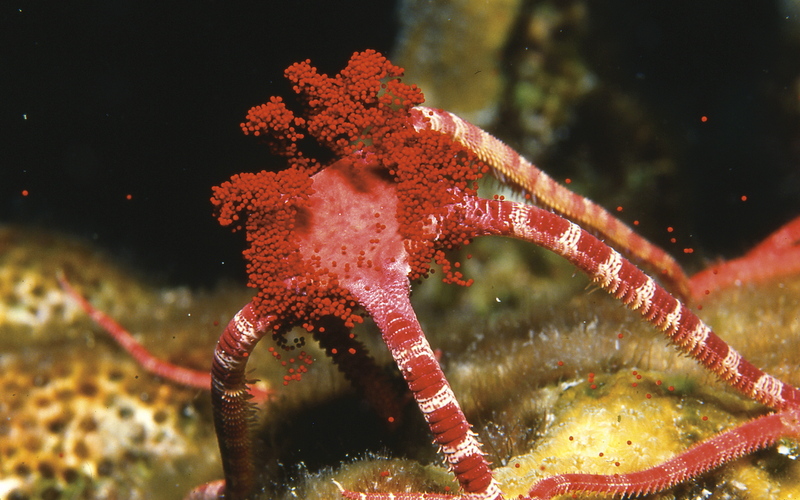 Often described as an upside down snow storm, corals spawn by releasing millions of packets of egg and sperm cells that appear underwater as massive pink and white clouds which slowly drift to the surface where fertilization occurs. The next day the sea is partly covered by pink slicks of coral larvae – the next generation of one of the ocean’s most vital organisms. Within a few weeks the larvae will settle on the bottom and begin the process of reef building. The advantage of such mass spawning is obvious: to increase the larvae’s chances for survival. Most will be eaten by fish and other sea organisms, but the sheer volume of spawn insures that many will live to propagate the species. Of course, the reproductive process takes on added significance as the effects of global warming and other environmental factors slowly decimate the world’s coral reefs, making this a bucket list experience if ever there was one. To witness the magnificent spectacle – expected to happen about a week after the August full moon – Scuba St. Lucia, Anse Chastanet’s PADI dive operation, is planning a series of night dives to the Anse Chastanet reef, located just off the resort’s beach. Double-dipping for the week is a bargain, too. For $1869 per person a summer dive package includes seven nights accommodation, airport transfers, all meals and then some, plus 12 beach or boat dives with all the gear.